Criticky Crack, there goes my back. Have you ever felt that type of pain? I have. I’m a California girl which means I’m automatically a warmth-loving, cold-hating, hot shower-praising girl. So, when I moved to the land of no sun Chicago I realized that warmth was a thing of the past. Then there was the lupus, the Raynaud’s phenomenon, and the swollen joints which made it very clear, very quickly during my first Chicago winter that no…cold and this autoimmune disease will not be friends. I began to crick. I began to crack. I began to ache. I began to hobble. Then stumble. Then I was frozen into a position that resembled something between My Precious from Lord of the Rings and a gargoyle. Finally, after suffering for a while I had had enough and I searched for relief for those aching swollen joints. 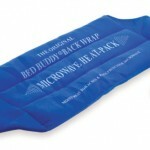 The Original Bed Buddy Back Wrap was my saving grace. Sure, it says “Back Wrap”, but I’ve used this buddy on my hips, knees, elbows, shoulders. Shoot I’ve even used it for cramps All I have to do is pop this sucker into the microwave for a minute or two, strap it to my body with its elastic belt, and *bam* instant relieving, moist heat to my aching body. I used this so much that eventually my husband’s 78 year old grandfather bought one and got instant relief, too! 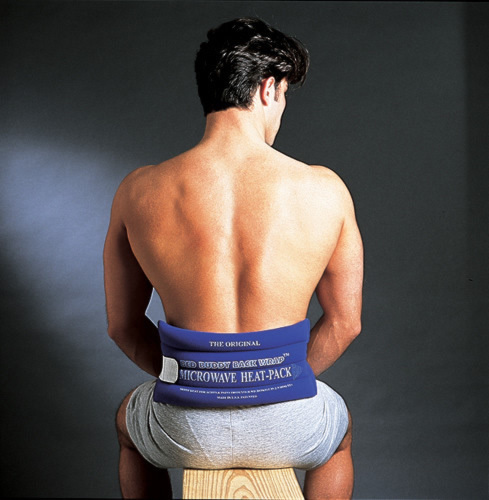 Anyone that has suffered from an invisible illness or chronic pain whether it be your joints, muscles, or both can use The Original Bed Buddy Back Wrap to help take away the aches and throbs that come with your disease. I’ve been known to wear it under a sweatshirt as I’ve gone to the store! 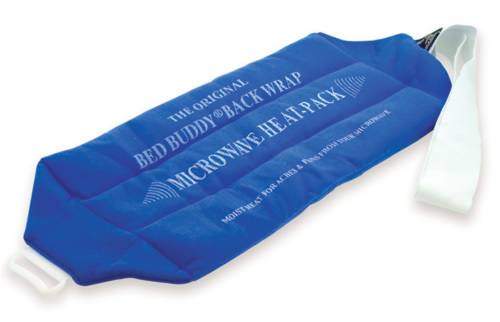 So all of my cold and aching friends, go buy yourself The Original Bed Buddy Back Wrap at any local drugstore for $20 or you can purchase one online through the Amazon link below. Your joints will thank me. I promise. i purchased one two weeks ago aND GUESS WHAT IT CAUGHT FIRE AT 1.24 MI. AND THEY SAY TO HEAT IT UP AT 2.00 WHAT TO DO, WHAT TO DO. How would you make one? Thanks! Have had mine for about 12 years. Still works fine. When I get my neck adjusted at the chiropractor, I am usually sore that night, so I heat up the Bed Buddy and put it on my pillow and lie down on it so that the neck muscles warm up and relax, making it easier to get to sleep. I have a corn pack that I’ve had for years. It has field corn in it. Heat it in the microwave and wrap in a towel. Gives me moist heat. I’ve put it in the bed, to warm it up, down by my feet in the bed, curled up in fetal position with my body wrapped around it. Stays warm for a long time. I make my own bed buddy…one long men cotton sport sock..fill halfway or more with cheap rice, tie a knot at the end…2 minutes in microwave and voila..humid wonderful heat …. This sounds great and very inexpensive. The only thing I dont like would be having to heat it in the microwave. My question as well is how long does it last. I found another helpful tool at http://www.vitalwrap.com but this is expensive equipment..However, Medicare will pay for it. The site has all the forms you need including the perscription form for the doctor. 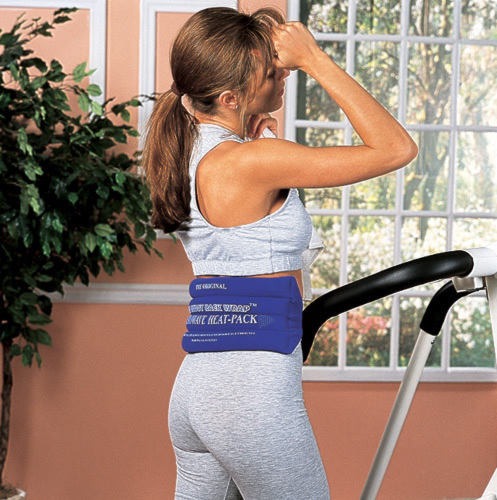 this is a portable Ice,Heat wrap. They have pads for every part of your body. It has a container that you fill with water and has a tube to the wrap that circulates the water, the heating/cooling unit is built into the wrap. It runs on either battery or electric so it is portable. Its worth checking out. How long does it stay warm? I get frustrated with the one I have for my neck (home made) because it only stays warm for about 10-15 minutes. These are wonderful, but don’t leave it in the microwave unattended. Mine actually caught fire in the microwave a few weeks ago, even though I’d set it for no more than always (2 minutes). Definately look into getting one of these !!! I almost forgot. It’s also a great hand warmer for those Raynaud’s attacks!! Sure beats standing at the kitchen sink with warm water running over my hands. Instead, I can sit on the couch and watch TV with my husband, with my hands wrapped in glorious warmth. And if he wants to come and cuddle with his hands in there, too, so much the better! I bet that would be a fairly easy sewing project too! Maybe I should make one and take step by step pics to put in the craft section. I love my heating pads made out of rice too! The heat really is amazing in loosening up stiff muscles! Yep the cold & the cold winds won’t help your pain at all. I lived around Chicago untill I was 9, then my parents divorced. My X-Dad was very abusive, beating one of us always. Mom worked always untill she was able to open a Beauty School, which did very well, my X-Dad had a good job with the phone Co. But his money went to new cars, his boat & his Girlfriends. Mom was able to buy her dream house, we only lived there a few mons. before my X-Dad broke my Mom’s arm, then she was done, with it all. He contented to harresses us day & night, the cops were great keeping an eye on us, even breaking in to find him climbling the stairs with a gun. Then he started the house on fire, not knowing I was home sick & hidding in the Basement, I didn’t come out untill a Fireman found me. He payed the Lawers off & got it all, house,car,boat, even my Brother, with his empty promises. We got 2 Thous. bought a Corvair & ‘Ran for our lifes to Ca. Still Mom liked to move, up the st. down the st. across the st, her moves were 3 day marathons, with a few hrs. of sleep. We even moved back to Chicago 5 times, that was were most of our family & friends were. I injured my back at 8, & all those moves, I think made it worse. It was when we were living in Chicago that I woke & couldn’t move my legs. Scared the crap out of me, Mom took me to a ‘Chiropracter, but could ony afford a few treaments. For yrs. it would go ‘out on me’, all I could do was crawl pushing a heavy ‘steplatter, to get on the counders to do my chores & my Sisters. If her’s wern’t done I would get in trouble, Mom never cut me any slack. I didn’t see a Dr. unill my early 20’s, played their ‘Game’s’, was instaled, told to get a ‘hobby’, a few said to find a Boyfriend. I was Married with a baby, told I ‘just wanted everything done for me’…on & on. I coud see on X-rays that I had problems & I wasn’t a Dr.
Now that I’m older 4 discs aren’t there, alowwng the Vertbrays to fuse together, see you don’t hve to have a Dr. Fuse your back, in time it will fuse by it’s self. 2 other disks were flat as paper, by now they are worn away. I have ‘Kyposis’ that is less then an in inc. from connecting to my spine. I’m tryed of talking about this crap, it is what it is & I ‘still do it all’, even fix the cars. I won’t go in how much trouble my knee has caused me, as I tripped & shattered it, the broken ars, wrists, legs broken in 3 places…Blah…Blah. Where do you live in Chicago? Don’t worry I’m not a stalker, just an ‘older’ Woman, in pain 24/7 & as my Sister says …’A Drug Addick’, as she drinks her 2 boxes of wine a day.she already had her Liver fail her, but is trying to ‘say’ she was born with this ‘Jaunice’, or has had it in hersystem all her life…Her crap is a joke. She makes herself as a ‘Dumb’ person, which she is. They have one for your neck and shoulders too. I don’t know what I would do with out it when things start flaring up. Does it only come in buff male and skinny female model sizes?